Stray Dogs is the new film from Tsai Ming-liang and another example of ‘Slow Cinema’ that seems to be taking hold of arthouse cinema the world over. Made up almost entirely of long, meditative fixed camera shots, Stray Dogs will be an endurance test for some. The film follows an alcoholic man, Lee (Lee Kang-Sheng), and his two children as they eke out a meagre existence in modern day Taiwan. 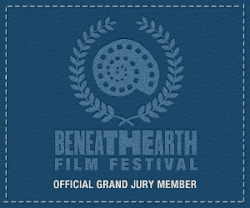 Midway through the film, they are befriended by a lonely woman who works in a supermarket. The synopsis above is quite bare and with good reason. The film defies simple explanations. The relationships between characters are not made clear and three different actors play the role of the woman who works in the supermarket. Not only that but the film seems to either jump backwards and forwards in time or in and out of Lee’s increasingly unstable head. The film is then a mix of social realism and something more experimental. There is one devastating sequence in which Lee, holding a large billboard for a nearby estate agent’s, in tight close-up and shivering in the freezing wind so much that he looks in danger of falling out of frame, starts to sing. This sequence is long but powerfully sad and it also achieves an easy balance between realism and experimentalism. However, a large amount of the film does not hang together as well. As the film becomes more and more abstract and dreamlike, it loses sight of its characters’ plight. The near fifteen minute penultimate twoshot comes to feel only like a stunt, the film having long before forgotten its supposed subjects - poverty and human beings. 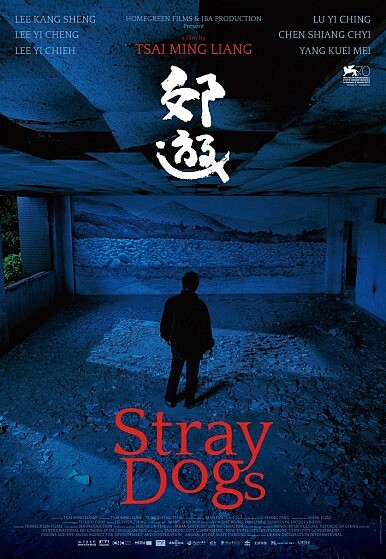 On one viewing, Stray Dogs is then a somewhat confounding film that powerfully conveys humans in terrible situations only to drop that focus in favour of surrealist and experimental aesthetics. Ultimately, one is most likely to wonder, while watching a man smothering, destroying and then tearfully eating a cabbage dressed up to look like a woman in a ten minute fixed shot, what Tsai Ming-liang was trying to say with this film and whether it had more to do with people or ‘slow’ envelope-pushing.